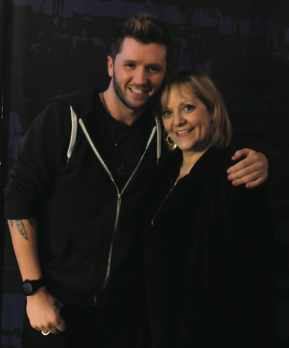 EXCLUSIVE: Travis & Denise Wall Talk About Their New Documentary "I Dream of Dance"
Dance phenomenon Travis Wall and his mom Denise are no strangers to the spotlight. Travis' success on "So You Think You Can Dance," followed by his own reality show, have propelled him to reality dance stardom. Though he's working behind the scenes as a choreographer these days, you can still catch him performing occasionally with his dance company, Shaping Sound. And Denise is a recognized dance expert in her own right, having taught dance for 38 years, founded her own studio, and produced over 50 dancers who have gone on to pursue dance professionally. Now these two are shining a light on the world of competitive dance with their new documentary "I Dream of Dance." The film follows Denise as she inspires her students to achieve the impossible when they attempt to win Nationals for the third time in a row—a feat that's never been done before. The Walls aren't the only familiar faces you'll see either. Dance celebs like tWitch, Allison Holker, and Stacey Tookey also make appearances in the film. Dance Spirit spoke with the Walls about what it's like being surrounded by cameras all the time and what they hope people will take away from the film. You can also catch an exclusive look at the trailer before the film comes out on October 2nd. To celebrate Mother’s Day (May 12), we’re highlighting five well-known dancer moms and their dancing children. Their love of the art form makes these dynamic duos (and one quartet) very close. But like all families, they can still drive each other crazy!